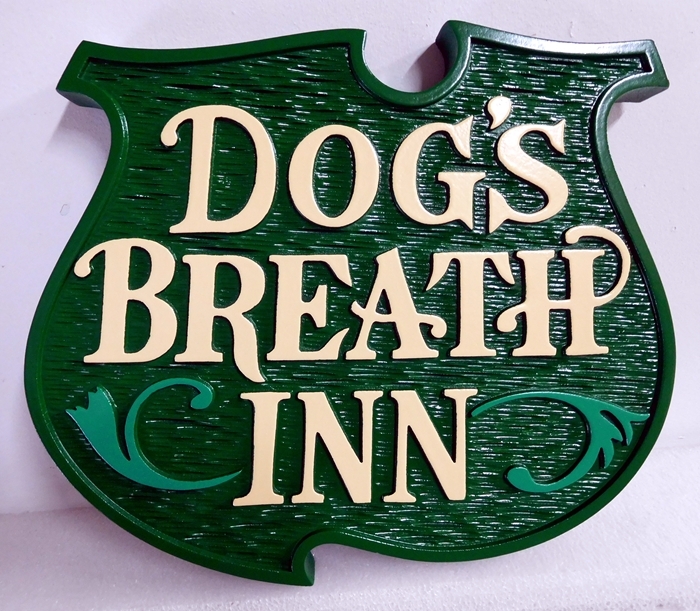 This attractive "Dog's Breath Inn" hanging entrance sign is made of High-Density-Urethane (HDU) carved in 2.5-D relief. The text flourishes, and border is raised above the smooth background. The textured background was carved in a specific texture rather than sandblasted. The color scheme, dark and emerald green with light tan text, is very attractive, one of our favorites. The sign is clear-coated twice for additional protection against UV radiation and moisture.